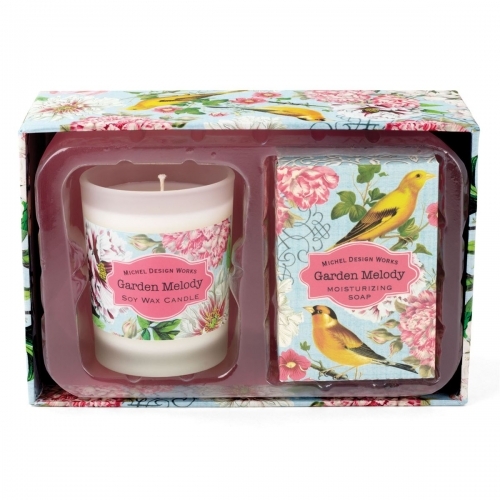 Garden Melody Candle & Soap Gift Set Shop the largest selection of Michel Design Works candle & soap gift sets and more - Garden Melody Collection. Plus free ground shipping on all US orders over $50. We're offering two matched-scent favorites all packed up and ready to go. A present with presence! Soap: 2.1 oz. / 60 g Candle: 2.5 oz. / 70 g, approximately 12 hrs. burn time.